Current Series frontrunners SAP Extreme Sailing Team will be looking to extend their overall lead in Barcelona. It’ll be all eyes on their new helm, multihull expert Morgan Larson from the USA, who joins the team for this Act as a temporary replacement for Kiwi Adam Minoprio – the team’s regular and highly successful helm who is unable to attend Act 3. 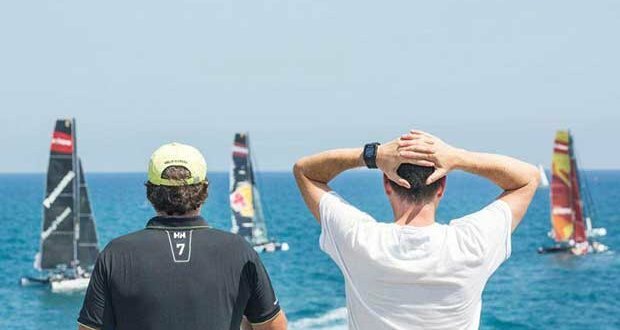 Austrian squad Red Bull Sailing Team will also be a hot tip for a Barcelona Act win, having finished second in the Act last year. The team’s Sport Director, Hans Peter Steinacher, is looking forward to the fight and is confident that his crew can out-perform the fleet once again. Steinacher isn’t the only one who speaks fondly of the local crowds. Arnaud Psarofaghis, co-skipper and helm on board Alinghi, believes the crowds offer motivation to the teams when they need it most. 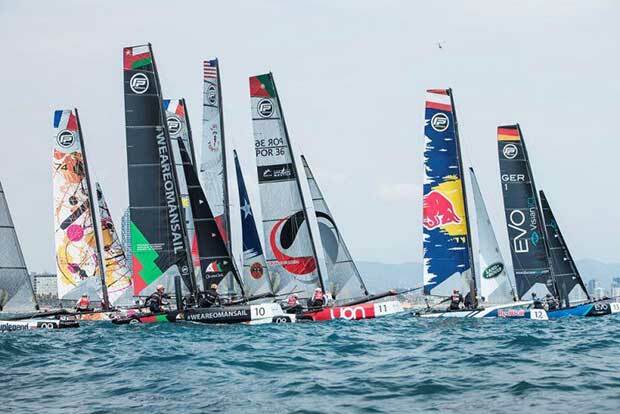 Despite Alinghi’s brilliant start to the season in Muscat, Oman, where they took the first Act win of 2018, the squad toppled off the top spot last month at the GC32 World Championship, finishing fourth in the Extreme Sailing Series rankings – one place ahead of British challenger, INEOS Rebels UK. They’ll be looking to climb the ranks again in Barcelona. The regulars on the circuit will be joined by local team Spanish Impulse – a crew of Olympic hopefuls and sailors with Extreme Sailing Series experience from past campaigns, who plan to take their home waters by storm. Adding an element of the unknown to the competition, this wildcard team will keep the fleet on its toes as they race around the blue waters of Barcelona under the Spanish sun. A free-to-enter public Race Village, located next to Marina Vela and the famous W Hotel Barcelona, is sure to bolster the crowds watching the racing. Visitors can grab a bite to eat at the Van Van food truck market or enjoy a refreshing beer at the public bar, both provided by Estrella Damm. Public commentary is available to keep everyone up to date with the action on the racecourse, with sound provided by Extreme Sailing Series Official Audio Supplier, Neuron. Act 3, Barcelona is hosted by the FNOB (Fundació Navegació Oceànica Barcelona).